The machining process for gears utilizes machines of the VL platform, with four key operations carried out sequentially. Turning the first side and second side of the gear (OP 10 and OP 20) is done on VL 2 machines. 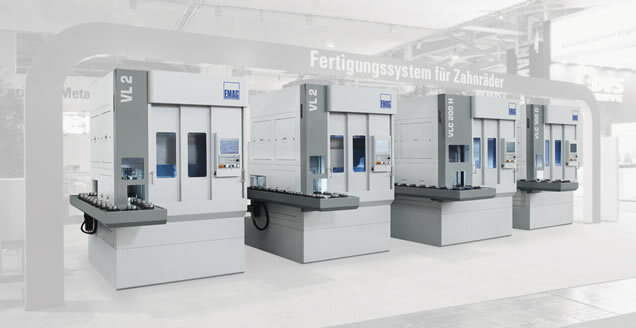 A VLC 200 H then carries out the gear cutting process (OP 30) using a milling hob, with the concluding chamfering operation (OP 40) carried out on a VLC 100 C. The use of two different control systems (Fanuc on the VL and Siemens on the VLC) in one manufacturing system exemplifies the possibilities offered by combing different machines. Demands on the manufacture of transmission components continues to increase. 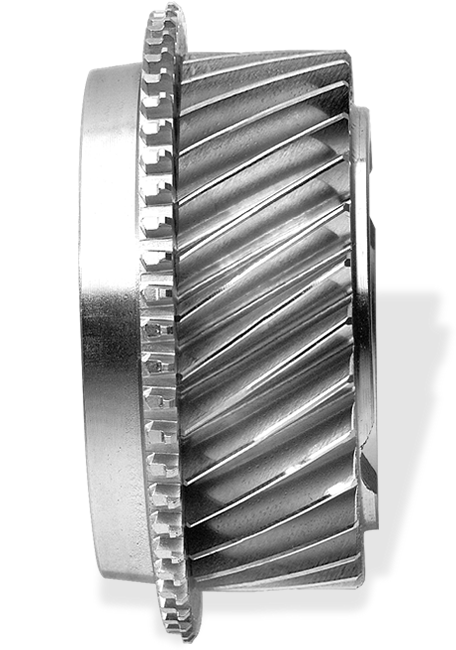 Modern gearboxes are becoming smaller while the number of speed-gears increases, leading to a general increase in the quantity of all gears and toothed components required. It follows that these components must be produced at the highest precision and that calls for an ever increasing number of processes. Ideally, all of these processes should also be highly flexible, with a large variety of transmission components – such as shafts, gears, planetary gears and plate carriers – frequently being manufactured at the same site. The technologies which successfully fulfil these demands have been developed by the gearing specialists from EMAG. With innovative machine designs they have expedited developments in the production of transmission systems.